You are now guaranteed access to the remaining coins in the limited edition ‘Inspiration to a Nation’ set. 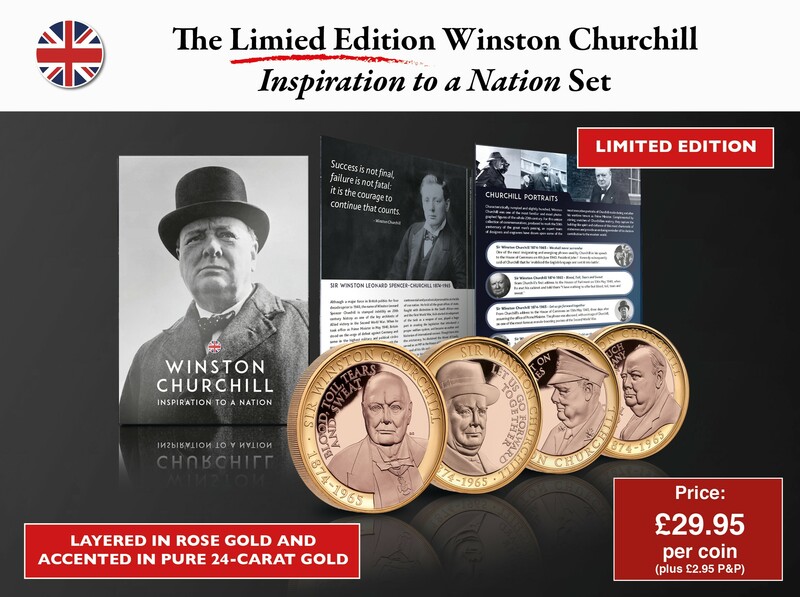 When you order your Official Winston Churchill ‘Inspiration to a Nation' Set, you will automatically receive the remaining four coins on a monthly basis, without any risk or obligation. The remaining coins, each layered in Rose Gold and accented in pure 24-carat Gold, will be sent to you at convenient monthly intervals for just £29.95 each (plus £2.95 P&P). You can stop receiving the coins at any time.